Renewable energy companies could get some of the same tax and funding benefits that fossil fuel companies enjoy under a bill now before the U.S. Congress. The Master Limited Partnerships Parity Act would let renewable companies form businesses that are taxed as a partnership yet can be publicly traded as stock. This means they could get more investment and pay less tax. “We need to do everything possible to diversify our energy supply and renewable energy sources are a key part of that process,” Sen. Al Franken, D-Minn., wrote in an email. Franken co-sponsored an identical bill that was introduced in the Senate in June. The House bill was introduced Sept. 19. A limited partnership avoids the taxes paid by publicly traded corporations. Those are taxed once at the corporate level and their dividends are taxed again. The limited partnerships do not pay taxes at the corporate level, yet they have the corporate advantages of limited liability and greater public investment. This means renewable energy companies in the Great Lakes and elsewhere could get access to cheaper funding, said Michael Allen, owner of Energy Law Wisconsin, a legal consulting firm for Wisconsin government and businesses. “Historically they’ve been in use some 30-odd years and they’ve done well in the oil and gas industry because they provide a vehicle that makes it easier for people to raise money and at lower interest rates,” Allen said. Cheaper and more available funding means more growth. There is investment potential in Illinois and perhaps Michigan because, if its ballot initiative is approved Tuesday, it would require 25 percent of that state’s energy to come from renewable sources by 2025, said Hylla. And that initiative has drawn public support. Another state that may be particularly affected is Ohio. One of the strengths Ohio has is its manufacturing know-how, said Steve Caminati, vice president of public affairs at Advanced Energy Economy Ohio, a group representing renewable businesses. “We’re one of the national leaders in manufacturing technologies, or pieces and parts that go into technology, in the clean energy world,” Caminati said. 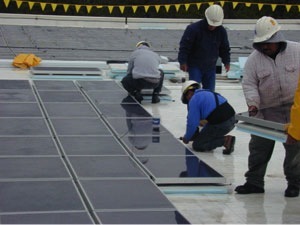 Renewable energy is one of the fastest growing business sectors for job creation in Ohio, according to a 2011 report by the Environmental Law and Policy Center, a legal advocacy and business innovation group based in Chicago, Ill.
Because of the manufacturing and supply chain capacity Ohio already has, it is well positioned to add renewable jobs to the state, the report said. If the bill is passed and Ohio companies and investors adopt the business structure, they could use such capacities to grow faster. But it would also increase competition with coal, which provides 80 percent of the state’s energy, according to the Institute for Energy Research. More competition could mean less coal jobs or less investment in coal. The Ohio Coal Association did not return requests for comment. Rather than take away jobs from the coal industry, the bill would add jobs to the renewable industry and to Ohio, strengthening the overall economy, Caminati said. And more competition is better for an economy, Caminati said. Others see the legislation as an example of the government’s uneven energy policy. Such regulations make energy more scarce and expensive for consumers, said Pippy, who added that the alliance strongly supports a level playing field for all energy sources. These entities have grown by more than 100 companies since the first one was created in 1981, according to the National Association of Publicly Traded Partnerships. Forty-four percent of oil and gas gathering companies are master limited partnerships and 79 percent of the partnerships are in the energy and natural resources industry. The total market worth of master limited partnerships was more than $338 billion as of August, according to the association. By expanding the model to the renewable industry, it also gives the Great Lakes market a stability it hasn’t gotten with temporary incentives or tax benefits, Hylla said. Allen agreed: There was “tremendous” renewable energy development under a three-year tax credit that was a part of the federal stimulus package, but it expired last year. Stability means a company doesn’t have to plan its business strategy around incentives that are coming and going. In the absence of a consistent, long-term federal renewable energy policy, you’re left with state-level solutions, which can be tricky, Allen said. In Wisconsin, for example, the state has a renewable energy portfolio that requires its electric utilities to get 10 percent of their energy from renewable sources by 2015, he said. “At the time this standard was adopted in 2006, the utilities were well below the standard and investors and the utilities themselves were highly motivated to invest in renewable energy projects because the utilities needed the increased renewable resources to meet their obligations,” Allen said. But most of Wisconsin’s utilities have already met or are close to meeting the standard ahead of schedule, meaning there is no incentive for them to continue developing renewables, Allen said. “What I have observed in my own law practice is that because some of our neighboring states have a higher (standard), e.g. Ill. and Minn. with a 25 percent (standard), many of my clients in the renewable energy industry are leaving Wisconsin to develop projects, or even relocate, in other states where the (standards) and other policy conditions are more favorable,” he said. Master limited partnerships, by contrast, are reliable investment schemes that keep incentives for investment in place, Allen and Hylla said. The bill was introduced by Rep. Ted Poe, R-Texas, and Rep. Mike Thompson, D-Calif. It has been referred to the House Committee on Ways and Means. Michigan voting against the renewable energy mandate on the recent ballot reveals that unlike Sen. Al Franken the majority of voters in Michigan recognize that Renewables such as Wind and Solar are not viable alternatives on a modern grid. The meme that we need to invest in them in order to diversify our energy portfolio is akin to saying that a person needs to buy shares in a company going bankrupt in order to diversify their portfolio. Diversification is a valuable investment tool, providing the investment is in a stable, profitable, money-making entity whose stock will continue to grow in value and/or pays dividends. Investing in a money-losing enterprise makes no sense as an investment and only makes money for the broker, not for the investor. As a society we need to invest in infrastructure that will provide society with a good return on its investment. The enormous subsidies paid through our taxes and utility rates to renewable energy companies for unpredictable, unreliable and mostly unuseable power provides an excellent return on investment only to the beneficiary of the subsidy and not to the society investing. For society investing in renewables is a money losing, job and competitiveness-killing proposition. It is a classic example of the Broken Window Fallacy. 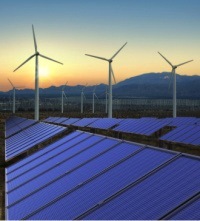 Provding further subsidies to renewable energy, is merely throwing good money after bad. This is a warning that the industry runs on subsidies. It has been shown to be unsustainable even in Denmark (the poster child for wind development) where manufacturing giant Vestas is on its knees http://www.bloomberg.com/news/2012-10-29/denmark-won-t-support-vestas-through-financial-hardship.html despite four decades of government support and protection, the unique asset of Sweden and Norway as “storage batteries”, and massive investment in coal-fired generators to keep the grid stabilized! Nowhere has there been a proper cost/benefit analysis to show that the wind industry can live up to its “green” marketing. and even some former acolytes have seen the light, http://www.greenillusions.org/ pioneers a critique of alternative energy from an environmental perspective. 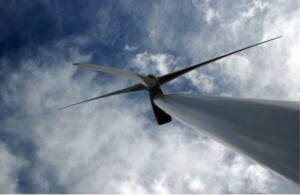 Data performance studies in many countries including the USA http://www.bentekenergy.com/WindPowerParadox.aspx show that the Laws of Thermodynamics are still in force on planet Earth. It is irresponsible to promote what is tantamount to perpetual motion machines. The industrialization of precious freshwater ecosystems, particularly the minimally impacted forest/wetland watershed of Lake Superior, the cleanest of the Great Lakes, for such a demonstrably bad scheme is such an error in logical thinking it must be termed insanity.